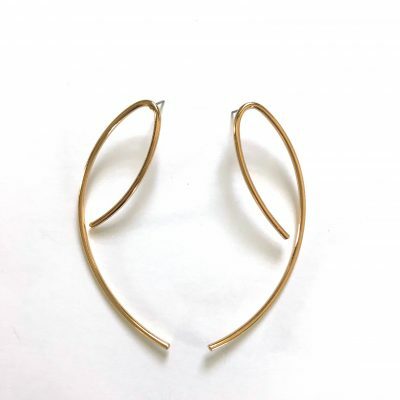 A new twist on the classic gold hoop – the Orbit Collection. Each earring is handmade. 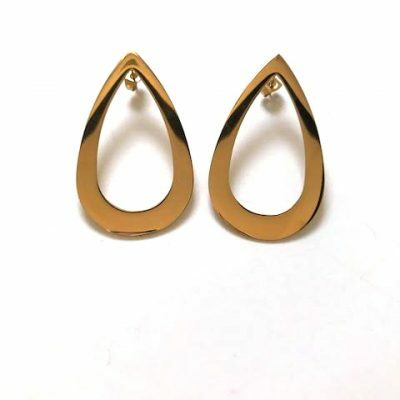 Each earring is unique. 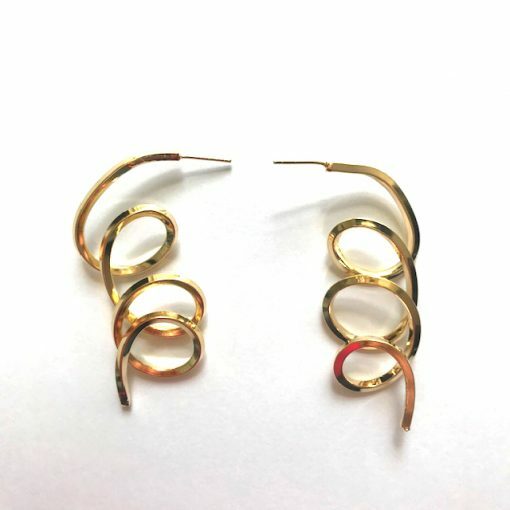 Earring designs in the Orbit Collection include the Jupiter, Solstice (seen here), Lunar, Venus and more…….. 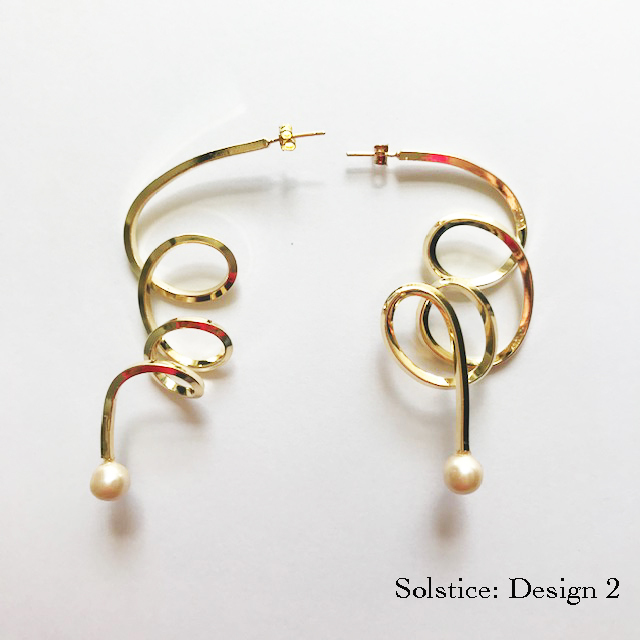 Choose your unique pair of Solstice earrings from the photos on the left (by design #) and then choose that option below. 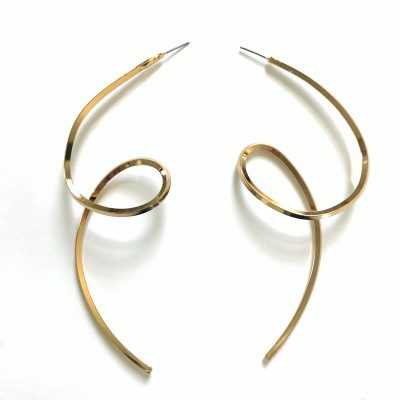 Gold plated brass. Each earrings measures approximately 3 inches long.